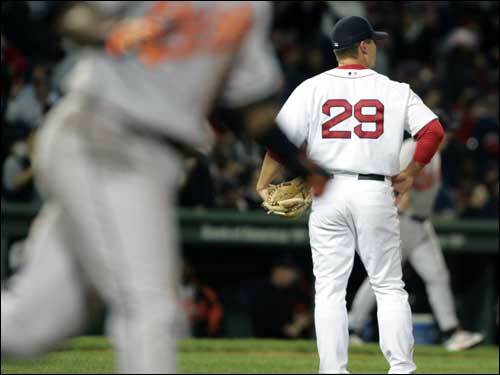 For Keith Foulke, 2005 was a season to forget. He blew a few saves early on, got on the wrong side of Red Sox fans with his "Johnny from Burger King" comments, had surgery, and never got a chance to regain his closer's job. His line for the season -- 5.91 ERA, 5-5 record, 15 saves and four blown saves. Click the links below to recap some of Foulke's flops.